Last year, SSGM’s analysis of the 2009 J.D. Power and Associates Canadian Customer Commitment Index Study found the recession, feeling by many to be in full-swing, was taking a toll on vehicle maintenance spending across Canada. J.D. Power reported annual spending on vehicle maintenance and repair had fallen to $856 from the previous year’s figure of $920. 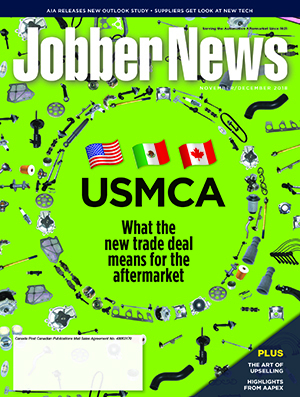 This year’s report finds that the effects of the recession continuing to impact the aftermarket. J.D. Power finds consumer-reported average annual expenditures on vehicle maintenance and repairs decreased to $9.8 billion in 2010 from $11.2 billion in 2009. This decline came as a result of owners of vehicles aged four- to seven-years holding back on maintenance spending. Where is the decline? Why the decline? When J.D. Power crunched the numbers further from the 14,500 Canadian respondents, it found the drop in spending could be pinned on two factors: a fall in the average amount spent by a vehicle owner per service visit to an independent and a decrease in the number of service visits, most acutely seen in vehicles four- to seven-year old. To put those findings into perspective, the study found per service dollars spent averaged $287 in 2010 compared to $352 in 2009, or a drop of $65 dollars. While $65 does not sound like a significant amount of money, spread over time and vehicles, this $65 dollars quickly adds up to lost revenue and profit for individual shops and the industry as a whole. Why the decrease? Certainly, the recession is one reason. During tough economic times, consumers will cut back on discretionary spending, forgoing such things as family vacations to purchases of iPods and other electronic gadgets. Automotive maintenance and repair is no different. For many vehicle owners who are now watching family budgets closely, unless the work recommended by the technician and service writer is safety-related they may, and often do, forego that work in order to save money. 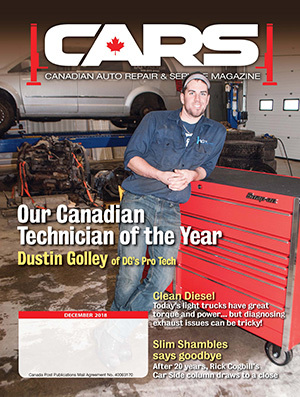 What should be more concerning to Canadian independents is this trend may be indicative of more troubling changes in the aftermarket. 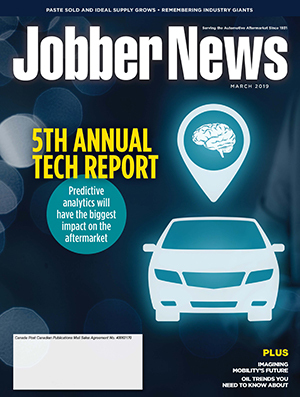 According to Robinson, technologies and designs have improved, leading to vehicles lasting longer, fewer parts needing to be frequently replaced; and advances in filter technologies and motor oils have extended the drain interval between oil changes. This has meant a decline in the number of service visits owners of today’s vehicles will make to a shop. To continue to generate decent revenues from these longer service intervals, OEMs have begun to pack more service work into the scheduled service intervals. By trying to pack in more services into a single visit it has the effect of making it harder for the service writer and technician to educate that customer on necessary work and regular maintenance, and dampening customer satisfaction and loyalty. Each time the service writer or technician tries to educate the customer, it is frustrated by the customer seeing only a high price-tag and thinking about ways to take the business to someplace cheaper. It is not a formula for long-term profitability or success. 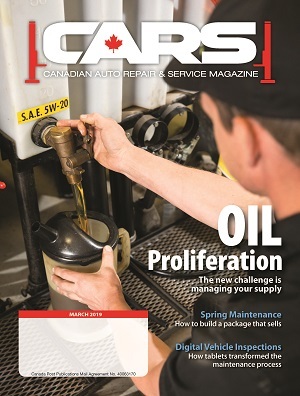 John Watt, national manager with Certigard (Petro-Canada) pointed to his company’s efforts at tying customer satisfaction and business processes that helps drive profitability and customer loyalty to its network of service providers of Canada. For some years, along with studying carefully the annual J.D. Power and Associates survey, Certigard has been using Vertex Consultants to track customer satisfaction and loyalty. The Vertex surveys focus on the first-time customer to Certigard as this customer likely has had dealings with another service provider and is able to compare the service he or she has received at Certigard to what the service experience was like previously with another independent service shop or a nationally-branded shop. Watt said what is looked for in the survey is very specific: service items that translate into high customer satisfaction results and which can be acted upon and improved by every shop. Watt believes that by focusing on those fundamentals in every Certigard shop in Canada, and sharing customer feedback results so shops can take action on them to improve customer communications and relations, has helped in not only placing Certigard in the top position this year, and earlier in 1995, but to having consistently placed its service operations annually in the top-five of the J.D. Power and Associates survey for some time. The company’s internal survey also reinforced what J.D. Power’s survey has repeatedly pointed to as the key for long-time customer loyalty and shop profitability: honest communications with customers. Watt’s remark is echoed in a recent AIA study on the aftermarket, produced with DesRosier Automotive Consultants Inc. The 2009 study titled “Hidden Potential Unmasked” found Canadian vehicles four- to 12-years-old are being underserviced by an average of $239 every time that vehicle is taken to a service provider. Drilling down further, the study found that $28.47 billion in potential demand was available in 2008, while the actual performed services in 2008 were valued at $18.14 billion. A little over $10 billion was left untapped. Watt said that to tap into this unrealized pool of revenue it is important to develop and build on customer relationships and independents need to focus their energies on the business processes that help make those relations work.